The first WordPress London Meetup for 2018. 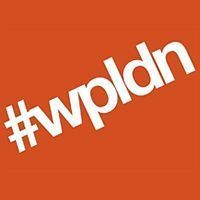 We’ll be looking ahead at what changes 2018 will bring to #wpldn, we’ll also be looking at getting production-ready. It is common practice to move code through a series of servers in a multi-tiered development workflow. This talk will discuss best practices for deployment from local development environment to production servers. We’ll dive in to in how to push changes from collaborative version control tools to build, deploy and deliver WordPress. Learn basic concepts around deployment, testing and dependency management and see how it all ties together. Presented by Edmund Turbin. Edmund is Senior Solutions Engineer at WP Engine, London. Over the past ten years he has built websites with content management systems and has held technical roles in media, publishing and ad tech in New York City. Edmund is passionate about front end coding, development workflow and architecting scalable WordPress solutions for enterprise. Edmund has recently achieved certification as an AWS Solutions Architect – Associate. In his free time, Edmund enjoys electronic music production, snowboarding, cycling and discovering new places across the globe to explore with his family & kids. Follow him @spicecadet. The final ‘formal’ WordPress London Meetup of 2017. We’ll be looking at the discovery stage, our favourite plugins & scaling WordPress. That phase of any project that, if not pinned down and given the attention it needs, can trip us up big time. The Discovery process needs to be as thorough as it can possibly be. Discovering just what the client expects and all the things around being able to make that happen. That’s what we want to do. The thing is, we all know this. Some include this already in their process and from this they have become successful (surely!!). Each of us has a horror story of the client’s expectations not being met because we did not understand quite what they had in mind; there was a mismatch and the client holds us accountable for that. Or what they want and expect is just not possible on their hosting. Or the client’s data needs significant translation to be usable. Being clear at the start is essential. If we do this, document it, get the client to confirm that this document is what they want and understand they’re paying for, then we’re winning and so are they. Presented by Barbara Saul. Working with the Internet for nearly 20 years now and wrangling web design clients for at least 15, Barbara has learned many things about keeping customers happy, how to handle a customer always being right, and mostly learning from when she gets it wrong... Follow her @babssaul. We all have our favourite go-to plugins, often using them repeatedly on our client projects. We may have plugins we’ve used for years, or sometimes we come across handy plugins by chance. Let’s spread the word about these great little plugins available to us. Let’s find those hero plugins that will get us hooked! In this session, Mike Pead will demonstrate two plugins he regularly uses, which are useful for all levels of abilities. He’ll also open the session to the floor, so if you have any favourite plugins that could be useful to others, please share your suggestions!. Presented by Mike Pead. Mike runs Primary Image, based in Westcliff-on-Sea in Essex, and designs, supports and hosts WordPress websites for clients. Primary Image specialises in the transport sector, with Mike creating websites for Transport for London, National Express and Network Rail, amongst many others. Follow him at @mikepead. With the REST API in full swing, SPAs (Single Page Apps) are popping up all over the place, built using <insert JS framework here>. In this presentation, I will show you how to get a simple site using the WordPress REST API from local development, through to production on Kubernetes (with a demo, or two mixed in), that scales. Presented by Craig Willis. Craig is a Full-Stack Developer working on internal and external products for Ayima, Digital Marketing Agency in London. He is also the co-organiser of PHP London. https://www.meetup.com/phplondon/. Follow him @craigwillis85. The line between design and development is getting blurrier, and our approach to web design is becoming more modular. How do we keep track of it all? Style guides to the rescue! Using style guides that update as our projects progress, we can visually document our work and ensure that everything stays consistent. They may seem daunting and time-consuming at first, but they don’t have to be. How do I get started with living style guides? What’s a living style guide anyway, and how do I know if mine is dead? Isn’t that going to slow me down? Why should I bother? Presented by Sarah Semark. Sarah is a designer, developer, and world-traveller. After running a business for eight years, she now works for Automattic where she spends her days building WordPressy things. When she’s not busy making things, Sarah likes obsessing over typography, collecting impractical footwear, and exploring new places. Follow her @sarahsemark. So you’ve created a plugin or a theme for WordPress? Awesome! It doesn’t stop there. Find out why great support matters and learn simple ways to get a reputation for excellent support without increasing your time or effort. Presented by Deborah Beckett. Deborah Beckett has been building web sites and training site owners for over ten years. She lives with her husband and two kids in the Research Triangle region of North Carolina, USA. When not engineering happiness for WordPress.com users, she enjoys running, travel, and spending time with her family. Follow her at @dbeckettnc. There are a number of ways to speed up sites. Caching is one of them. However caching can’t be used in all instances, for example when checking out on an eCommerce site. In those circumstances the speed of talking to the database is important. WordPress and its plugins aren’t the greatest at structuring data. In this talk we’ll walk through some basics of how databases work, how WordPress is set up, and why some of the queries you thought should be fast, aren’t. And hopefully what to do about some of those. Presented by Gabor Javorszky. Gabor is a software engineer / eCommerce consultant who works with WordPress and WooCommerce. His focus is on solving performance bottlenecks. He spends most of his time buried in New Relic. Follow him @javorszky. This month at the WordPress London Meetup we’ve got Page Builders; good, bad or indifferent? As well as fun and games with Regex (yes that’s right ‘fun’ and ‘Regex’ in the same sentence). Page Builder Panel – The Pros & Cons Of Them In Your Workflow. Featuring Doug Belchamber and Keith Devon; this will be an open panel discussion around the use of Page Builders in the WordPress development workflow. We’ll be hearing the pros and the cons from the panel of developers and you’ll have your chance to get involved. Doug Belchamber: Doug is a WordPress developer based in South London, who’s terrible at talking about himself in the 3rd person. He runs Smarter Digital, a small WordPress development company, Fuelled as a freelance technical marketer and blogs infrequently at WP Developers. Keith Devon: Keith is the co-founder of Highrise Digital, a specialist WordPress agency. He started the WordPress London meetup group, and is co-founder of codeHarbour – a web meetup in Kent. Keith has been building WordPress sites for over seven years, and has worked with agencies and clients of all size. His goal is to improve the WordPress experience for website owners and editors. Mike Pead: Mike runs Primary Image, a WordPress web design agency in Essex. He works with a variety of clients, from small local businesses, to large organisations such as Network Rail and National Express. An open discussion on the latest from WordPress. Think ‘regex’ and ‘fun’ can’t exist in the same sentence? I’ll teach you how to win at computer science’s greatest logic puzzle. Presented by Katy Ereira. Katy is a geeky software developer, prolific knitter, avid allotmenteer, health seeker, 日本語 speaker. Solutions Architect @ Deeson. Follow her @maccath. No matter if your product, business plans or plugin is functional and well crafted: there comes a time where a user or client knocks at your door, and they aren’t happy at all with you. Supporting users is not an easy job, not to mention when they’re angry or upset, and this can affect your emotional and professional balance. In this presentation I’m going to share some useful tips and tricks I deploy when dealing with upset customers, to turn them into a potential happy users. I’ll also share my advice on how to maintain an assertive and positive attitude when things go south. Presented by Stef Mattana. Stef works at Automattic as a Happiness Engineer. She helps users who need support for products mainly on the wp.org area such as VaultPress, Akismet, Jetpack and Polldaddy. WordPress evangelist, Stef is active in the International and Italian communities. When she’s not working online or lifting heavy weights, Stef either stalks dogs or ends up people on fiction. Stef has led the sponsorship and finance team of WordCamp London in 2016 and 2017. Follow her @stefmattana. Up until WooCommerce 2.1, each order had to be shipped via a single method with a single price. This changed in 2.1 and WooCommerce now allows each package to be quoted and shipped individually. This means we can manipulate the basket and split the order based on the shipping method, then each package can be marked to ‘ship via’ a method of your choosing. This is useful if certain packages can only be shipped by certain methods. In this talk I will show how you can split your shipping into different “packages” and treat each package in a different way. Presented by Diane Wallace. Diane is a freelance WordPress Theme and plugin developer. She specialises in bespoke WordPress plugins and themes and is passionate about creating beautiful, responsive, user friendly designs. Diane loves developing with WordPress and being part of the amazing, inclusive and friendly WordPress community. Follow her @_dianewallace. We’re talking workflows with Page Builders and ORM frameworks at the June WordPress London Meetup! Are custom page templates and shortcodes offering our clients and users the best content publishing experience? In this talk, I’ll explore how and why page builders might now be a staple in a WordPress developer’s toolkit. Presented by Doug Belchamber. Doug is a WordPress developer based in South London, who’s terrible at talking about himself in the 3rd person. He runs Smarter Digital, a small WordPress development company, Fuelled as a freelance technical marketer and blogs infrequently at WP Developers. Follow him @db_smarter. A new slot in the #wpldn event. An open discussion on the latest from WordPress. We’ll be kicking off with Todd Halfpenny running though what we can expect in the upcoming 4.8 update. Then it’s over to you. I have made an ORM for WordPress, before you roll your eyes at that statement I have built it specifically for WP based MVPs. Having built lots of MVPs on WordPress for cash strapped startups this simple class has made WordPress it easier than ever to make complex apps in days using WP https://github.com/anthonybudd/WP_Model. In part 2 of this talk Anthony will be taking a deeper dive into the technical aspects at wp_hooked. WordPress London Meetup – June.